Portugal is a remarkable country to explore. There is more to do and see here than just the gorgeous sea, yummy pork and seafood. This is one of the few countries in Europe that keep drawing tourists in year after year. The historic sites and gorgeous national parks offer more than enough places to visit. The best thing about Portugal is that there are unique places for everyone. You can drive for just thirty minutes on the road and feel like you are in a different country. The diversity here is probably the most attractive thing in Portugal. All in all, if you are planning a holiday here, there are several things you will have to do. The first is to plan sufficiently for the trip. Whether you are planning alone or with company, how well you plan for the trip will determine the experience you end up getting. In addition to picking the right clothes, booking the best accommodations and picking the best time of year to travel, you will need to make a list of the places to explore. This post takes a look at the top places in Portugal you should consider visiting on your next holiday. This is a traditional beach town that will certainly leave you satisfied. The fishing town is situated on the calmer part of eastern Algarve. While many of the destinations in Portugal have gravely succumbed to mass tourism, this destination remains barely altered. It retains its distinctive calm and character. In the 9th century, in the North African Moors era, the town was fortified. It later became a bustling port. You can easily notice the varied history of the town on the small plazas and cobbled streets. The ancient walls standing next to the baroque villas are nothing short of a marvel. The remarkable architecture is not the only thing that will impress you here. The south side of the town is made up of beautiful sandy beaches which are well protected by Ria Formosa Nature Park. If what you are looking for is a holiday destination that is relaxed and mature, Tavira is a destination to add to your list. This is the old university town. It is intriguing thanks to its youthful energy and historic sights. The student population here is large and there is no shortage of fun activities to engage in. You will see students across the town dressed in black robes rushing to cafes or to class. Coimbra is a very compact city that you can explore within just a day. It is located between Porto and Lisbon. It is a very popular tourist destination. Add it to your list. If you love amazing expanses then you will certainly love this magnificent beach resort. The resort town is situated south of Lisbon and on Setubal Peninsula. This town is a famous destination for Portuguese who frequent it on their holiday. This is a town that is both unhurried and peaceful. The best thing about Sesimbra is the craggy cliffs and the beautiful beaches. The beach is surrounded by remarkable forest-covered hills of Arrabida national park. This destination is unknown to many tourists but is just a few minutes from Lisbon. The region is a great spot for beach holidays. If you love ancient architecture, then this is a town you have to visit. The historic city is located in Alentejo region. It used to be a prominent religious center and trading town. You will spot the varied history in the sights of Evora. It is best known for the perfectly preserved Roman Temple and the creepy bone chapel. Evora is both tranquil and unhurried. This can be attributed to the hot summers. All in all, the steadily growing university population is not a sleepy relic. If you have a rental car, this is a great town to pay a visit. This is considered to be the birth place of Portugal. The first king of Portugal was born here. The country was also established here in 1128. Over the years, the city center has managed to retain its history with the cobbled plazas which are surrounded by the gothic buildings and the houses that are traditionally styled. You can visit the ancient stone castle and also get a chance to ride on cable cars. The Penha Mountain offers the most breathtaking views of Guimaraes and the surroundings. You can also set time for hiking on the trails. Here is the place to find the most dramatic and stunning coastlines in the whole of Portugal. This sleepy town is loved by Portuguese who turn it into a bustling resort during summer holidays. While it’s not summer, this is the most welcoming and peaceful destination in Portugal. If you are searching for the perfect destination for your next holiday in Portugal, this is definitely a destination you must add to your list. Visited by locals, you will find the best offerings in local cuisines. However, it is good to note that of all the destinations aforementioned, this is the least accessible one. The trip is, all the same, worth making. This is a small village dominated by an imposing castle which overlooks the area. You will need comfortable shoes if you want to wander around the remarkable castle grounds. This town is located in Serra de Sintra. It has a cool climate; the main thing that convinced Portuguese nobility to create a summer retreat in the town. There are many lavishing palaces here and many opulent residences. You can visit these stunning structures on your next holiday. The favorite destination for tourists here is the Gothic National Palace, Pena Palace and the Moors castle. There are so many great sights here, enough to warrant a two-day visit. This is the best destination for a day trip if you are coming from Lisbon. This is a fine resort along the Algarve coastline. It is a lively place located around the historic town center. There are great beaches here. You can take a swim, hire a kayak or take a boat tour. You will also be able to access the amazing Ponte da Piedade cliffs. These are weathered sandstone cliffs that you can explore on a boat. The history of the city is evident in Lagos. This is the place to be if you want to tour the western edge of Algarve. The town further has a great family-friendly atmosphere unlike all other resorts in the region. Praia de Rocha is in the immediate neighborhood of Lagos and is without doubt the best place for parties and nightlife. This is a great place to explore the varied histories of Portugal. You will find the glorious arched bridge of Ponte Sao Goncalo here. The riverside route will bring you to great cafes and restaurants. The treats here are irresistible. This is a city located near Amarante and Porto. This is the destination if you are interested in the impressive history and architectural designs in Portugal. While here, don’t forget to visit the remarkable Bom Jesus do Monte. There are many steps to be climbed so carry sufficient water to keep yourself hydrated. 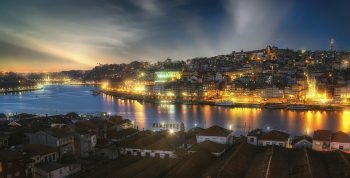 If you are looking for the most fascinating and charming destination in Portugal, Porto will be the place. Port is the sweet alcoholic drink the destination is best known for. This alcoholic drink has been intertwined in the history and fortunes of Porto. It is stored in the cellars that line the banks of Douro River. You can book one of the many tasting tours available to enjoy the drink. Most bars here serve this alcoholic drink. In addition to Port, Porto has many remarkable historic buildings, artistic churches and leisurely cruises. There is no shortage of fun things to do here, whether you made plans for a short or long holiday. This is one of the most respected tourist destinations in Portugal. It is also a common city break destination due to the cheap flights available. The only drawback here is the fact that Porto is wetter than Lisbon and Algarve. 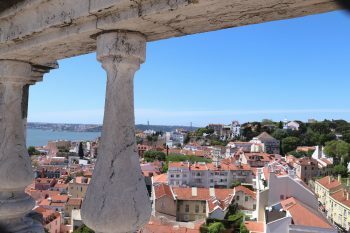 Our last entry in the list and most definitely the top place to visit in Portugal is Lisbon. This is a very diverse city that is liberal and proactive. It still retains its heritage. From the grand plazas and cobbled streets to the extensive network of quaint tram, this is without doubt the most exciting city to explore. There are so many distinct districts here, with each having its own unique architectural style and history. As you may have noticed, there is a lot to do in Portugal, whether you are alone, with a loved one, family or friends. You just need to do some research on your target destination and make the necessary plans. Don’t forget to pack accordingly and make accommodation arrangements. Due to the fact that most streets are cobble covered, high heels will not cut it here. You need comfortable shoes.